Nearly a fortnight ago we first heard murmurings about ASRock preparing to enter the graphics card market. As is often the case, with industry news and rumours concerning Taiwan-based tech companies, the source was a report published by IT industry journal DigiTimes. The report suggested ASRock was about to start selling own design graphics cards based upon AMD GPUs. As ASRock is pretty well known for its customised cryptocurrency mining motherboards many assumed any graphics cards emanating from the company would be targeting this market. 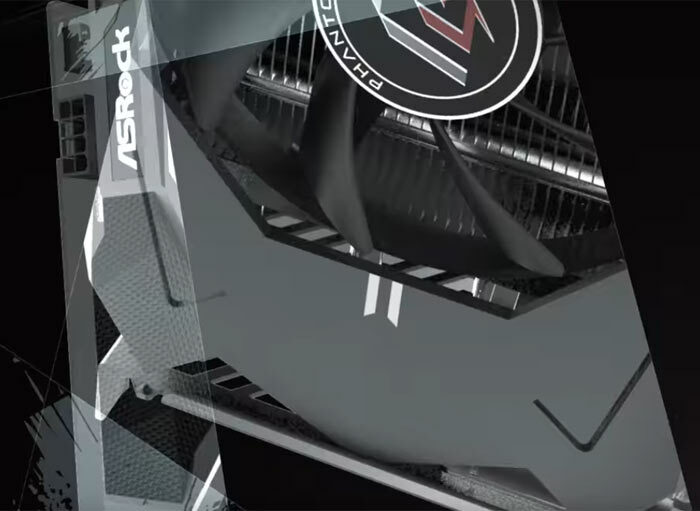 On Friday and Saturday ASRock published a teaser video and Facebook post confirming its entry to the consumer graphics card market. The new sub-brand will be called the ASRock Phantom Gaming line. By that name we can confirm that ASRock is targeting PC gamers with this product line. However these products may indeed be snapped up by crytocurrency miners, as other brands are, even though some manufacturers are outputting specially designed GPU mining boards. Unfortunately, we only get to see some glancing angles of the new ASRock Phantom Gaming graphics cards. 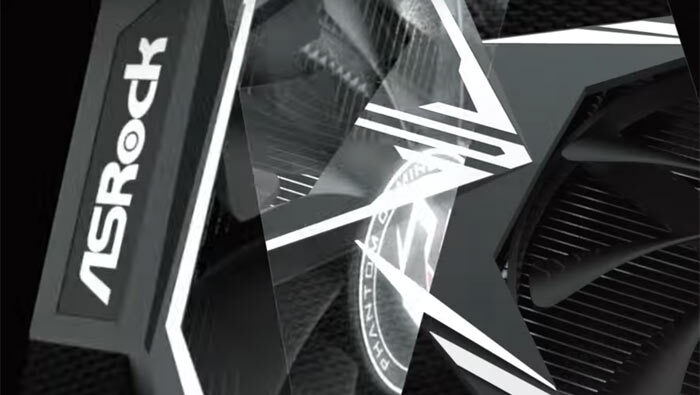 The 30 second video has little substance but we do see things like cooling fins and heatpipes, a Phantom logo fan, ASRock top plate, a chevron design detail, and the new Phantom Gaming branding. If you manage to stop the video in the correct position, as in one of my screenshots, you can see an 8-pin power connector on the card model teased. It will be interesting to see what a new manufacturer can deliver to the consumer graphics card market. That was my immediate thought too. It may have sounded cool and edgy when it was dreamt up by Asrock's marketing gurus, but it clearly hasn't been thought through….